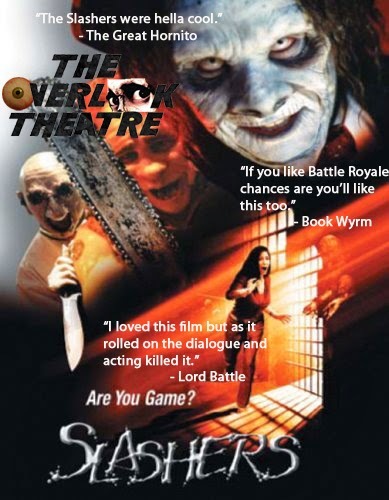 The problem with "Slashers" isn't the low budget because it actually kinda works for it, like if you have ever been to a local haunted house on Halloween, it ends up feeling like that. The real problem is the fact the 80% of the film is the characters analyzing the situation via poor dialogue, I mean the whole people dying on TV for a chance at money is pretty thought provoking (even though its done to death, pun intended) on it's own, we don't need the movie constantly reminding us. Also it's a little strange the film is supposed to take place in America but the cast all share some pretty obvious Canadian accents... Still the slashers were pretty cool and it is a very cool concept, this film is at least worth one watch.